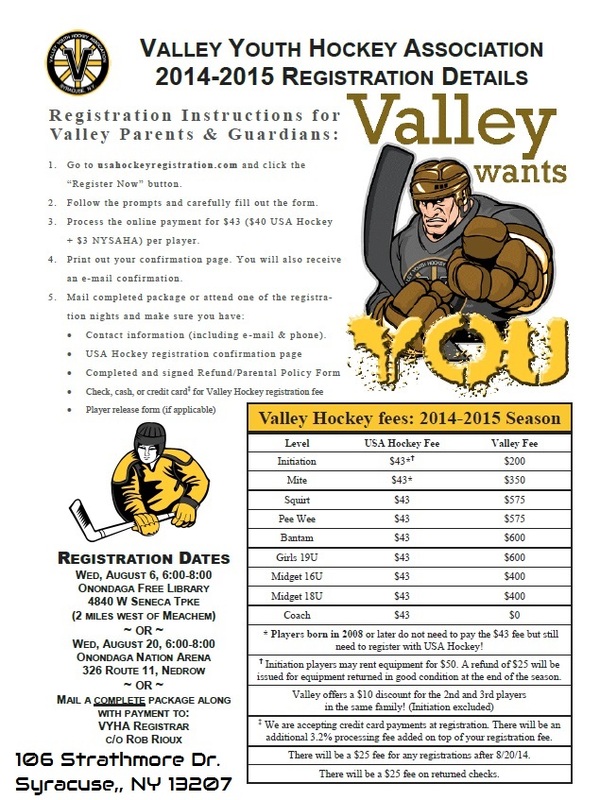 *Note: Your USA Hockey confirmation page will have a bar code on it. This code will enable Valley Hockey to download any information that you input when you registered there (but not your credit card number! ), so you do not need to give us that information again separately.